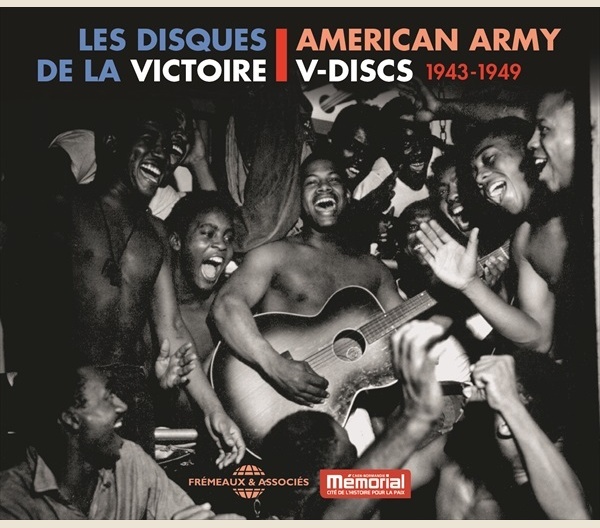 Classic jazz - LES DISQUES DE LA VICTOIRE 1943-1949 - FA5718 – Frémeaux & Associés. Pressed between 1943 and 1949, V Discs (or Victory Discs) boosted the morale of U.S. soldiers at the warfront and kept them up to date with the latest music from home. They were freely distributed but forbidden for sale, and the FBI would even have powers to destroy all copies in circulation at war’s end. Every great artist of the period made a patriotic gesture, and the records contained every genre: jazz, classical, pop, blues and folk. Jazz was fashionable then and took the lion’s share; it became an emblem for the liberators of Europe before spreading across the world. 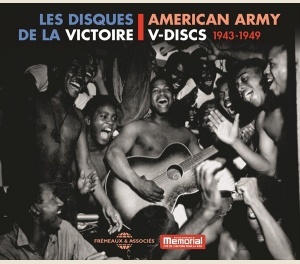 This 4CD set compiled by Jean-Baptiste Mersiol is a portrait in sound of American music trends during World War II, but it also reserves surprises in the form of some fantastic treasures, like the very first version of Louis Prima’s international standard, “Just A Gigolo”, and messages to the troops sent by the artists themselves.